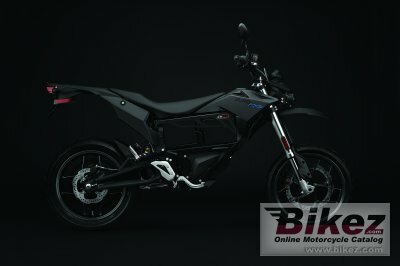 2016 Zero FXS. Picture credits - Zero. Submit more pictures. Whether you�re charging through the inner city supermoto style or indulging in backroad shenanigans, the new Zero FXS is ready to push the limits. Delivering a nearly instantaneous 70 ft-lb of torque, up to 44 hp and weighing less than 300 lbs, the Zero FXS is quick and agile. Price as new (MSRP): US$ 9890. Prices depend on country, taxes, accessories, etc. Comments: Range up to 113 miles. 8 hour charging, 110 or 220 Volt. Lithium Ion battery. Modular power pack system. Variants called ZF3.3 and ZF6.5. Ask questions Join the 16 Zero FXS discussion group or the general Zero discussion group. Bikez has reestablished Bikez.info motorcycle web shop overview. Here we present the major online shopping possibilities for motorcycle parts, gear and accessories. This includes customizing and insurance. Search and compare products and prices. Try our 2016 Zero FXS discussion forum if you have questions or comments. Information about any technical issue is always welcome.